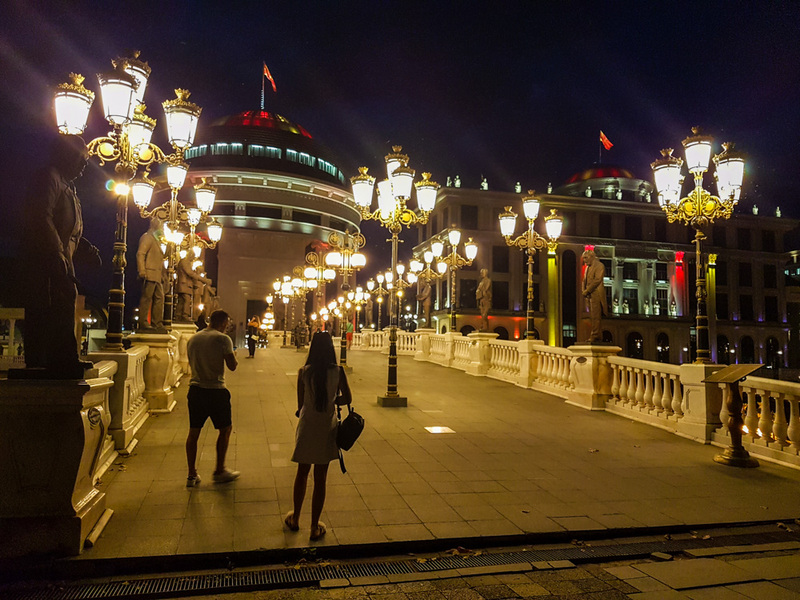 Earlier this month we spent at weekend in Skopje. It's definitely more economically developed than Pristina, and larger, but it's very shallow. All the pretty outdoor instagram shots, but no real substance. 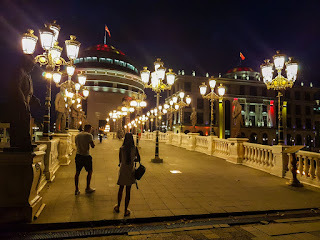 This is one of the bridges over the river at night. Pretty, yes.